Focus on the positive. Try to see the positive in every situation. If you can’t focus on the positive, try to see the potential positive outcomes and make an effort to bring these to fruition. As many of us know, if you spend time focusing on negative thoughts, they will consume you, your time, and your energy. Instead, change the tone of your thoughts from negative to positive. Surround yourself with positive people. Don’t dwell on mistakes; consider them as learning opportunities and try to not make the same mistake in the future. Live in the present. Living in the present is a way of staying open and intentionally focusing on your present situations. This is often referred to as being “mindful”. According to Psychology Today, mindful people are “happier, more exuberant, more empathetic, and more secure.” Think of this as a way to declutter not just your house but your mind. Eliminating these unwanted or nonessential possessions and thoughts help us to remove emotions that were associated with past events that may have been keeping us stuck. Understand that each day is full of endless possibilities and appreciate as much of each day as you possibly can. Seek help. There are many avenues to seeking help. Services exist for all types of situations, including if you’re struggling with a mental illness, grief or loss, or addiction. One resource is the Psychoanalytic Center of Philadelphia’s Consultation and Referral Services. Our members are committed to a psychoanalytic treatment approach, which is based on the theory that individuals are often unaware of many factors that influence their emotions and actions on a daily basis. We believe that this approach allows you to gain a deeper understanding and a fuller picture of your unique experience within the context of a trusting relationship with your therapist, which will lead to lasting results. If you wish to speak to one of our members about receiving a referral, please call our service at 215-235-2819 and leave a message. A representative will return your call within the next business day. 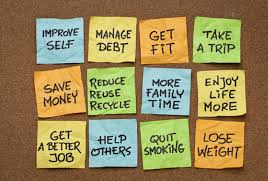 Start the 2018 off with some easy-to-achieve resolutions for your mental wellbeing!